It’s time for a new ad to run in the fall issue of American Bungalow. My old ad has served well, conveying plenty of information in a small space, but it has been in circulation for four years now and is in need of a freshening. “Draw from the past, Live in the present” is a phrase that came to me one day when thinking about what it is I do. I wanted to bring an element of the present day into the ad, so as part of the composition I strategically placed my iPhone on the craftsman inspired clock shelf, next to the antique Native American pottery vase. No matter how accurately we strive to create a home environment that evokes a simpler time, we have to accept the fact that we live in the present day and be comfortable with those elements that are essential to our everyday lives. Hopefully a harmony can be achieved in even the most authentic craftsman home. I feel a home can be a beautiful and comfortable place to live in and not feel like a museum. 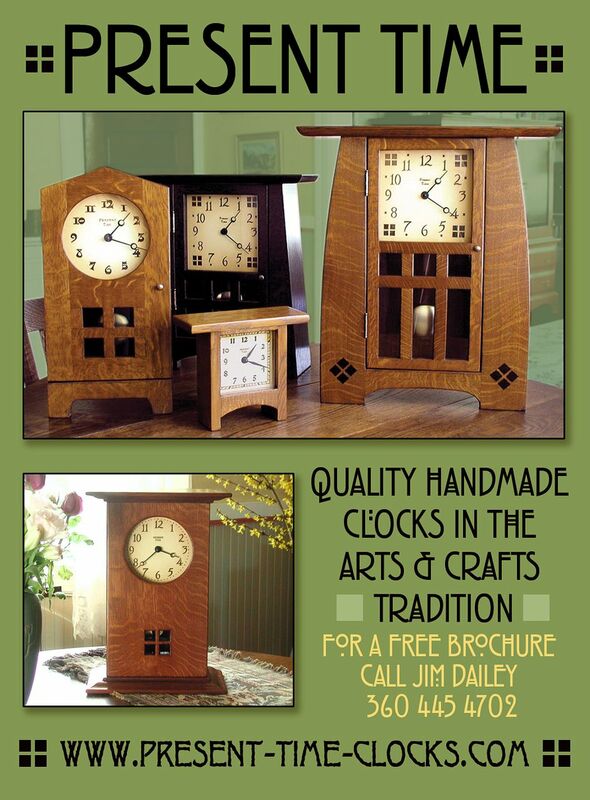 I also wanted to include the mention that I am expanding my line to include items other than only clocks. 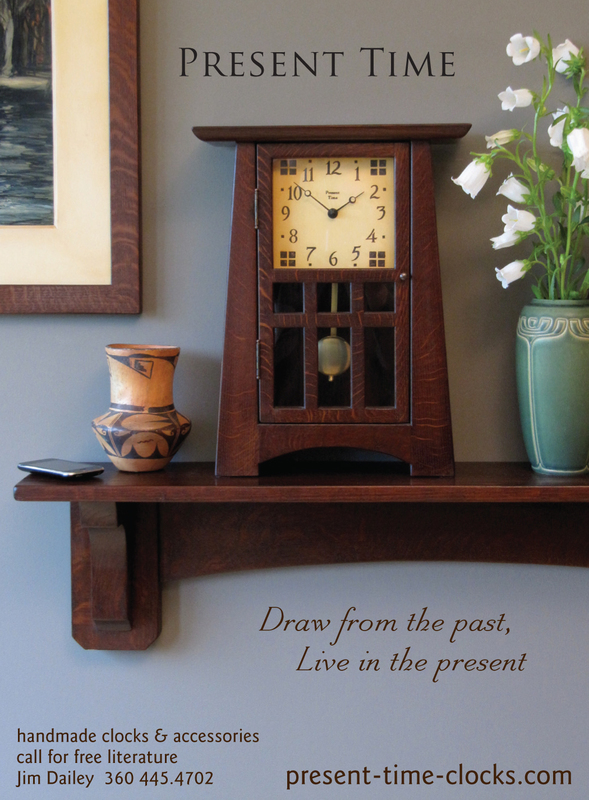 I have made a number of the clock shelves as seen in this photo for past customers by request. I had another long time customer ask if I’d make him a footstool so I came up with this for him. I was pretty pleased with it so I figure I could do it again. 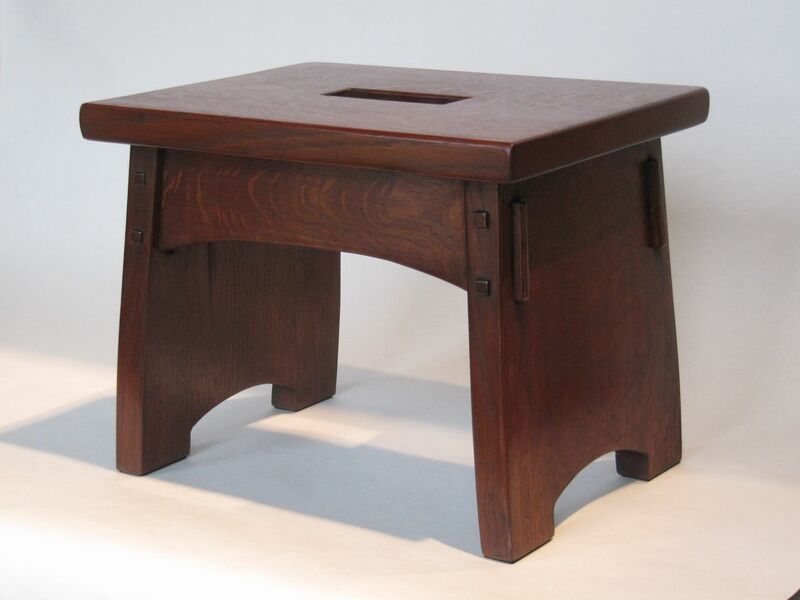 I have another request for a paper tray for a customer’s Stickley desk that I’m about to get started on. I’ve been compiling some other ideas that I’d like to try out this summer and soon post on the website. Stay tuned! This entry was posted on Saturday, May 29th, 2010 at 4:26 pm	and is filed under Uncategorized. You can follow any responses to this entry through the RSS 2.0 feed. You can leave a response, or trackback from your own site.